"Jimmy Takes A Vacation... You Have All The Fun!" Roger Hobbs is a man sorely in need of a vacation. His wife convinces him that what they really need is some time at the shore with their immediate and extended families. From the moment they arrive and see the run-down house, Mr. Hobbs knows this isn't going to be the relaxing vacation he hopes. When a series of trying family dynamics threaten to turn the whole trip into a disaster, he has to find the inner resources to make this family outing a success against the odds. 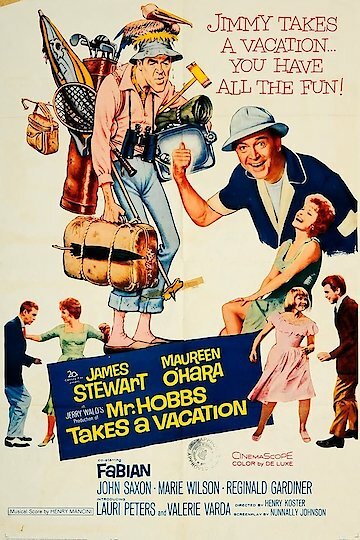 Mr. Hobbs Takes a Vacation is currently available to watch and stream, buy on demand at Vudu, Google Play, FandangoNow, iTunes, YouTube VOD online.